Time is ticking for Halloween! Although the 31st falls next Tuesday, festivities have already started! Just like many of us, if you still have no clue what to do, worry not! We at The LA Socialites have a few great plans to share with you guys! 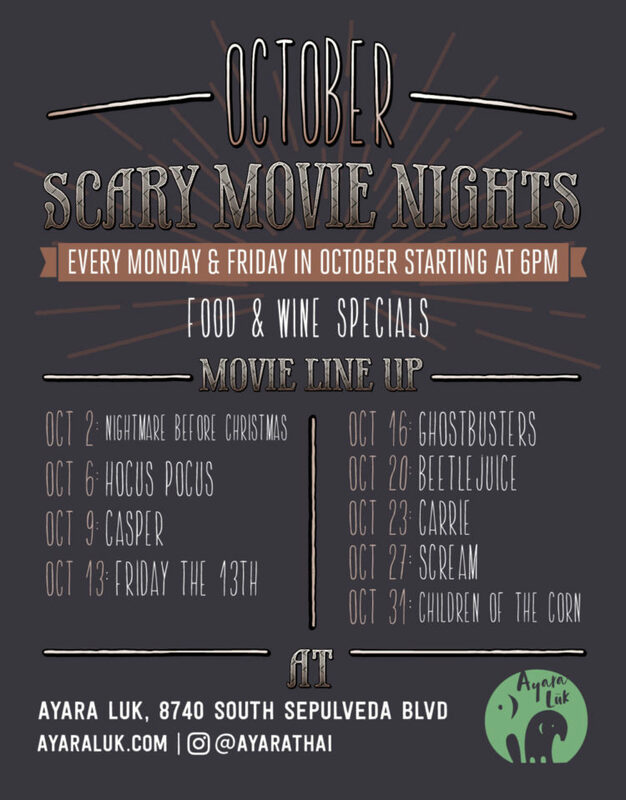 If watching Halloween-themed movies and eating delicious food sound like a great plan to you, come experience “October Scary Movie Nights” at the Thai restaurant Ayara Luk. Starting from 6 pm, the venue will show “Scream” on Friday and “Children of the Corn” on Tuesday. Meanwhile, the Thai eatery will have food & wine specials where you can try some of its popular dishes, including the Duck and Fig Flatbread, Farmer’s Red Curry, Papaya Salad and Pad Thai Luk with Maine lobster tail. Ayara Lūk is a pop-up Thai eatery and a culinary project of Ayara Thai. In Thai, ‘lūk’ means child. Our goal is to adopt our parents’ recipes and expand on it with dishes inspired by our experiences as first generation Thai-Americans. Our changing menu is small and curated to feature favorites from Ayara Thai, our take on classic Thai dishes, and environmentally-conscious ingredients. To us, these changes mean infusing our contemporary values with the Thai culinary heritage that we have inherited from our parents. Ayara Lūk is open from 11:00 a.m. – 10:00 p.m. 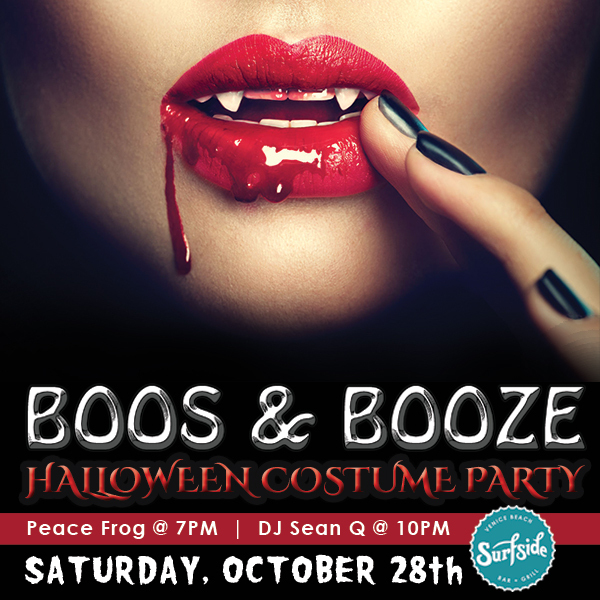 If you’re around Venice Beach, Surfside Venice is hosting their annual “Boo’s & Booze Halloween Costume Party” on Saturday, October 28th from 7 pm to 2 am! Expect ghouling drink specials, mouth-watering menu items (from California comfort food to LA-Korean inspired dishes, seafood, and vegan/vegetarian options), dope music from resident DJs Peace Frog and Sean Q, and three costume contests (sexiest, scariest, most creative) for a chance to win one of many prizes! Oh, and did we say it’s a ticket-free event? Yup you heard it, no cover charge! Don’t forget to bring those two things: your ID to prove you’re 21+, and your good vibes! See you at 23 Windward Ave Venice, CA 90291! Surfside Venice has created a diverse selection of menu items to entice beachside guests from California comfort food, to a delicious mix of LA-Korean inspired dishes, sustainable seafood and vegan and vegetarian options. Locals enjoy nightly live entertainment from local emerging artists to touring acts along with craft cocktails. As soon as doors open at 7 pm, the venue will have plenty to entertain you throughout the night: expect ALL NIGHT drink specials, and a live DJ before and AFTER the show (with a post-show dance party in case you haven’t partied yourself to death yet). This 21+ event will be held on the second floor of Redondo Beach’s harbor side restaurant “R/10 Social House” at 179 N Harbor Dr, Redondo Beach, CA 90277. Most (if not, all) people living in LA have been to Universal Studios… but have you been there during Halloween time? 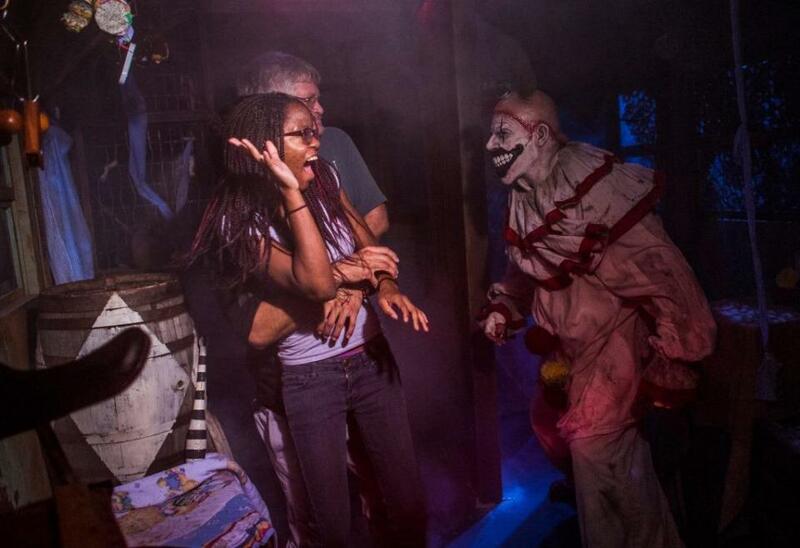 Just like every year, Halloween Horror Nights comes back to haunt you! With the following below, you’re bound to have an intense night! If you’re interested, ticket prices vary from $65 to $95 depending on the dates. Make sure to not miss out in October! Because tickets are quite cheaper than the ones from Universal Studio, Knott’s Berry Farm is a great alternative if you really want to be at an amusement park for Halloween! 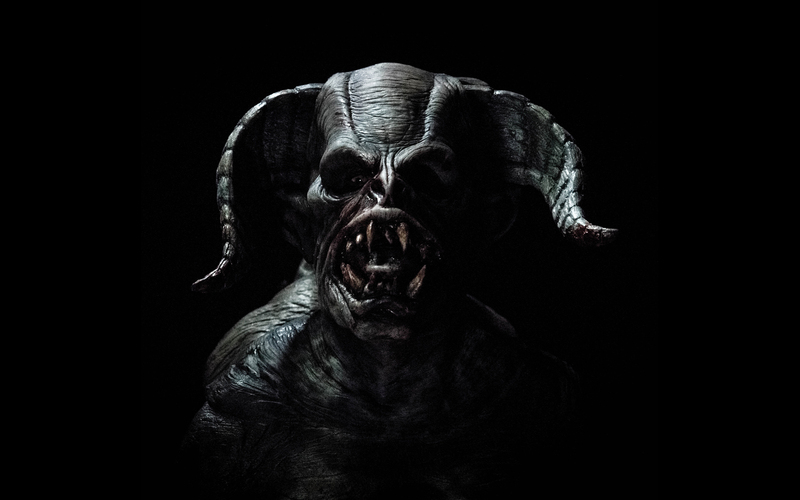 Be careful though… the website boasts more than 1,000 monsters will be roaming around at night… so be mentally prepared! Last but not least, if none of the options above appealed to you, our last featured event should satisfy your darkest desires: Into the Black. 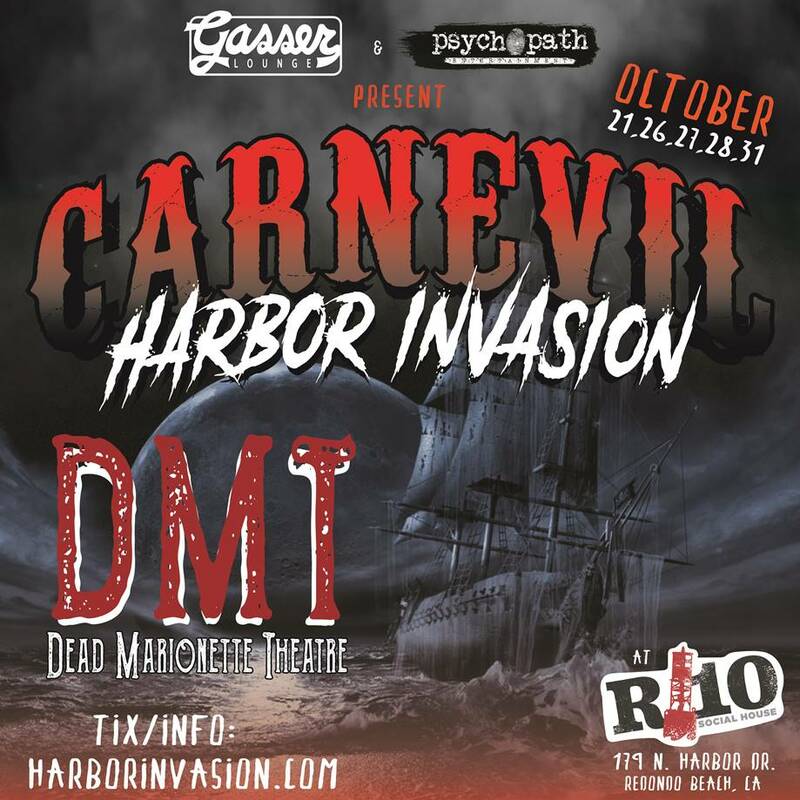 Tickets are $13 for the VR experience and $29 for the haunted house. If you are interested in doing both (which we recommend), make sure to start with VR and leave one hour between that and the haunted experience. Event will be held from this Friday until next Tuesday, so buy your tickets now if you want to experience something you will probably never forget… good luck!